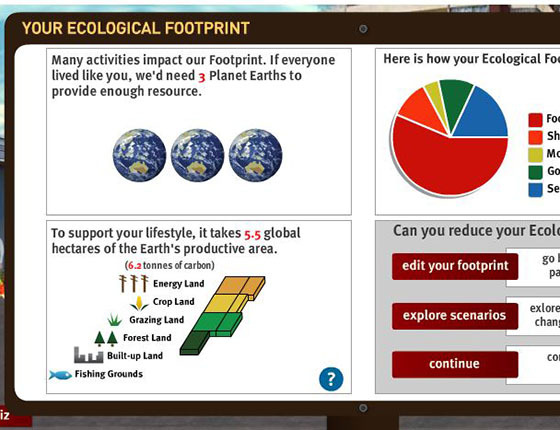 Thank you for using our Ecological Footprint Calculator in your classroom! If you are having some problems using the new calculator, we are offering you some suggestions here as well as some background on why we updated the calculator. 1. Please double-check you are using the correct URL: https://www.footprintcalculator.org. 3. If neither of the above solve the problem, we have also heard from some teachers that the school may be blocking the new Footprint Calculator because it includes social media sharing, including Facebook. We have implemented a solution to this problem and have heard positive feedback from educators who were previously not able to access the Calculator. Your IT manager also may be able to work around that issue by allowing school computers to access the site. If you still experience difficulties, please contact us at media (dot) footprintnetwork (dot) org. Our decision to update the Ecological Footprint Calculator was largely based on how much the old technology it was built in (Flash) impeded our ability to reach more people and share our message. There are 2 billion (billion!) more mobile internet users today than when we first made the calculator in 2007. We haven’t been able to serve that population, but by updating the technology we are now able to serve the dominant channel for internet use, especially for younger generations. Furthermore, even on desktops, Flash is being phased out on internet browsers, making our old calculator increasingly difficult to use. And finally, this platform made it very hard to easily update the calculator with our latest data and methodology. Our intent is to continue adding content that teachers have found very valuable. This includes different country-specific information (and different languages). It also includes improving the pedagogy to highlight the importance and limits of solely individualized consumer action. Our new beta version of the Footprint Calculator is but the first iteration in a longer process of updates to achieve that purpose. They will take time and much fundraising to implement, but are in the works. 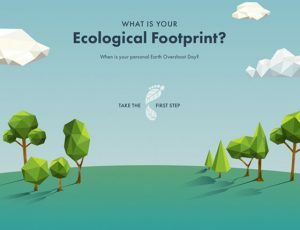 This spring, we launched an open data platform, the Ecological Footprint Explorer, to make it easier for everyone to access our data. All of the 2017 edition National Footprint Account data is now available for download free of charge under a Creative Commons license. Once your students calculate their Footprint, you can direct them to the open data site to see how they compare to the average person in the US, and countries around the world. If they choose Compare Countries at the top navigation, they will go to this page http://data.footprintnetwork.org/#/compareCountries?cn=all&type=EFCtot&yr=2013, where they can see the average Ecological Footprint of all countries. They can also select a country or countries in the top left field to compare their personal results to other averages. Another resource we can offer is our interactive maps at footprintnetwork.org/maps, which present the data from our Footprint Explorer in a map format with a list under the map. If students click the center circle that says Ecological Footprint Per Person, they will be taken to this link http://www.footprintnetwork.org/content/documents/ecological_footprint_nations/ecological_per_capita.html, where they can click on a country to find the average Ecological Footprint per person in that country and similarly compare their results that way. They can also look at the list under the map and see how countries rank. Hopefully these resources will be helpful. We’ve received lots of feedback so far from educators—good and bad—which we are looking at closely as we continue to improve the calculator and related tools. 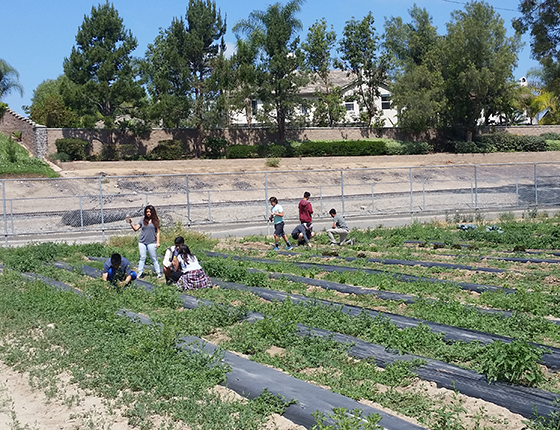 Help us improve the Calculator to serve you better by completing a short survey here. As new (or old!) features become available, we would be happy to keep you in the loop. If you are interested, we are starting a calculator focus group for educators, and it would be great to have you take part. Can we add your name and email address to our teacher contacts list? If so, please email us at media@footprintnetwork.org. To stay up to date on our calculator, sign up here and click the calculator box at the end of the form.